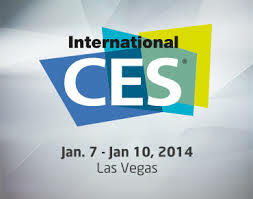 Registration is now open for CES 2014, with free “Exhibits Plus Passes” available through August 31, 2013. This pass grants access to TechZones, SuperSessions, keynote addresses and select conference sessions. Cost for the Exhibits Plus Pass rises to $100 on September 1st, and again to $200 on January 2, 2014. The International CES is owned and produced by the Consumer Electronics Association (CEA), the preeminent trade association promoting growth in the $209 billion U.S. consumer electronics industry. More than 2,000 companies enjoy the benefits of CEA membership, including legislative advocacy, market research, technical training and education, industry promotion, standards development and the fostering of business and strategic relationships. CEA also owns and produces the International CES – The Global Stage for Innovation. All profits from CES are reinvested into CEA’s industry services. Once again, CES 2014 is hosted by Las Vegas, Nevada, and taking place at the Las Vegas Convention Center and World Trade Center (LVCC)/Las Vegas Hotel & Casino (LVH) and with additional exhibition space and meetings at The Venetian. Tuesday, January 7: 10 a.m.-6 p.m.
Wednesday, January 8: 9 a.m.-6 p.m.
Thursday, January 9: 9 a.m.-6 p.m.
Friday, January 10: 9 a.m.-4 p.m.
Manufacturers, developers and suppliers of consumer technology hardware, content, technology delivery systems and related products and services will be available for discussion and demonstration of their latest developments. The International CES features products, and the companies that create them, are grouped into 15 consumer technology markets. The show floor is organized by color-coded halls, allowing attendees to easily find each exhibitor as they navigate through the largest consumer technology tradeshow. Northwest Creative Imaging has an excellent Trade Show Guide with additional details and insider information, including Lodging & Travel, and the complete line up of TechZone participants. To get last minute details and updates, as well as to register for the 2014 International CES Conference in Las Vegas, visit the CES Homepage .